Posted on July 21, 2017 by Matthew Leib. This entry was posted in Spotlight, Staff Stories and tagged Spotlight, staff story. Bookmark the permalink. When Katie Gallagher moved to Seattle from Rhode Island three years ago, she didn’t know what the future would hold, so she decided to activate a connection from her past. Near the end of her studies as an undergraduate at the University of Rhode Island, Gallagher had attended a feminist camp in New York City founded by Amy Richards and Jennifer Baumgardner, authors of the 2005 book, Grassroots: A Field Guide for Feminist Activism. 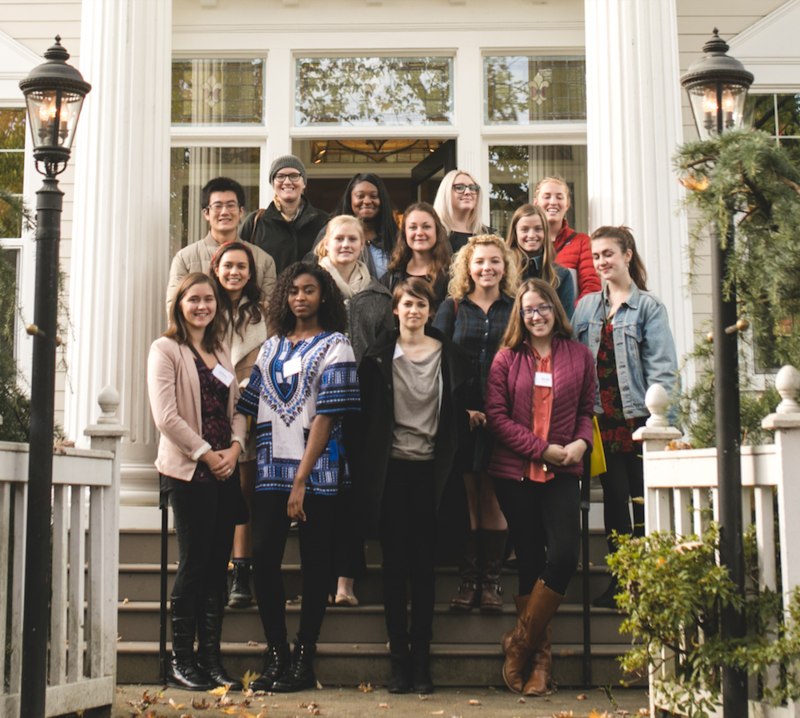 The week-long camp invited attendees to “experience feminism beyond theory,” exploring feminisms’ many forms and applications through a series of conversations with leading activists, professionals, academics, and educators. For Gallagher, then majoring in Psychology and Gender and Women’s Studies and working as an educator and advocate at the University of Rhode Island’s Women’s Center, the experience proved formative. Newly arrived in Seattle with no job, no permanent residence, and little more than what she could stuff in a few suitcases, Gallagher decided that if there ever was a time to test the reach of those relationships, it had arrived. Together, they contacted the camp’s founders, who they learned were already exploring a West Coast extension of the camp, but were still undecided as to whether to launch it in Seattle or San Francisco. Whereas many Seattle transplants spend their first months in the city exploring pre-existing hubs of connection, Gallagher busied herself building one from the ground up—pouring her passion for social justice into the project while working a string of jobs which, by her own admission, left her with passion to spare. 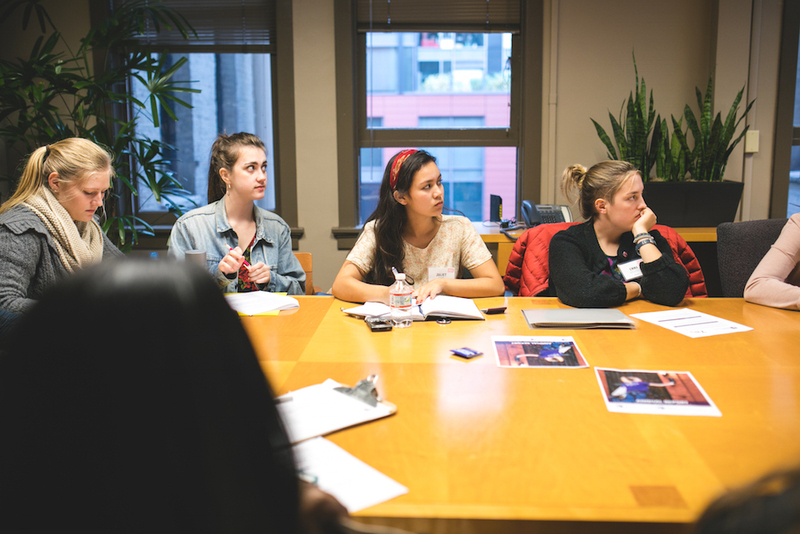 Her Seattle-based vision of “this multidimensional experience of learning and relationship-building” was realized in November when Gallagher co-hosted Feminist Camp’s first program, a two-day workshop exploring the intersections of feminism, tech, and reproductive rights. The cohort in attendance was intentionally intimate—limited to no more than 15 people. “It’s a lot easier for folks to have their voices heard,” Gallagher says, adding that the sessions are devoid of “pretentious Power Point presentations” and there are no formal requirements for speakers other than a willingness to converse with campers and answer their questions. While most attendees are on the verge of graduating college, the program is open to all ages and identities. One male attended the workshop in November. It’s all part of the camp’s broader exploration and deconstruction of myths and misconceptions surrounding feminism’s many facets—meeting face-to-face with those who put theory into practice to educate and strengthen ties. But even as Feminist Camp got off the ground, Gallagher felt a gap in her own growth. “I was left wanting something that was both a career and involved work that I found meaningful,” she says. The feeling lingered into the winter until she found a job posting for a position of Violence Prevention & Response Specialist at SafeCampus, the University of Washington’s central consultation office for anyone in the UW community who is concerned about their safety or the safety of others. From her work in violence prevention, Gallagher knows that when information is shared more readily between people and across departments, potential damage or negative consequences become all the more preventable. 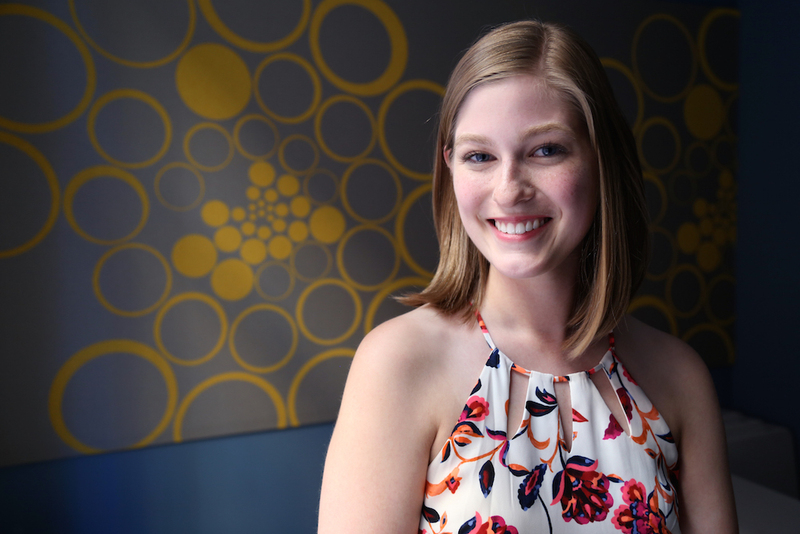 “It’s a unique service we offer,” she says of SafeCampus’ role at the UW. In her own role receiving calls from people who feel powerless or need help, Gallagher says empathy, patience, and a willingness to tailor creative solutions on a case by case basis go a long way. Gallagher says the “meaningfulness and exuberance” she feels from meeting people is the greatest joy of her work both as a response specialist at the UW and as a site lead for Seattle’s Feminist Camp, which held its first week-long session in June. In her view, both organizations jointly kindle a theory of intersectionality that can serve as a baseline for improving lives of women—and of people—everywhere. Feminist Camp is hosting its Summer 2018 session in the last week of June and will be accepting registrations in the Spring. Learn more here or download a sample schedule.